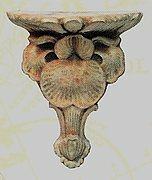 A134 Shakespeare Sconce 10x5 in. A104 Wide Sconce 10 x 7 in. Y123 Lady Bracket 27 x 7.5 in. A105 Wide Sconce 11 x 8 in. A136 Mermaid Sconce 9x6 in. A120 Leaf Sconce 7x5 in. A132 Iris Sconce 9 x 6 in. 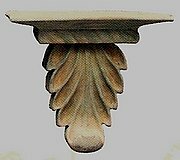 HD87 Cherub Shelf 8x6 in. A107 Wide Sconce 12Hx9x6dp in. 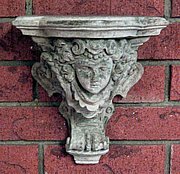 HD90 Greenman Sconce 11 in. 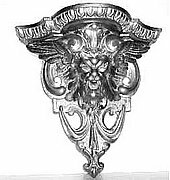 HD93 Cherub Sconce 8 x 5 in. WS2 Wall Shelf Bracket 12 in.